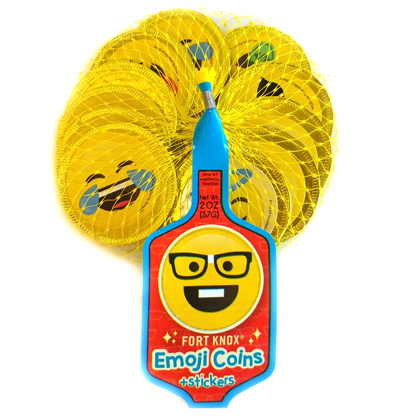 These gold foil wrapped coins come with peel-able stickers that let you express how you really feel. Each coin is approx. 1.5 inches in diameter and 5 per ounce. 2 ounce mesh bag. Kosher Dairy. Imported from Holland by Gerrit Verburg.